Our students with their host brothers/sisters. Andy Yu in his new bedroom at his host family’s house. Zack with the Spanish students at the Boadilla School. Last week Tuesday six of our 7th & 8th graders left on a jet plane for a six week Spanish Immersion Exchange Program. 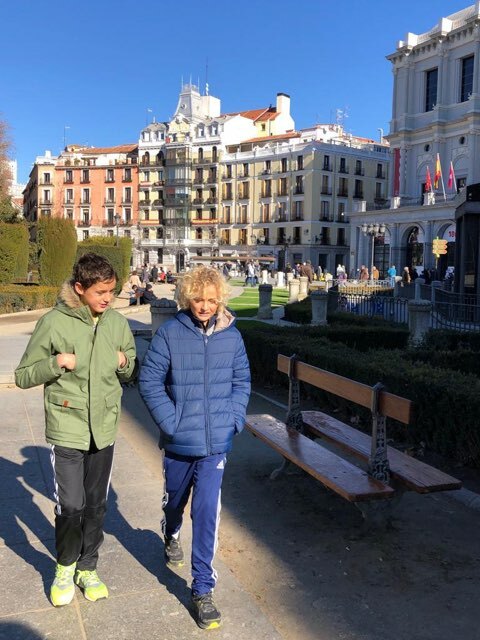 Andy Yu, Joaquin Hawkes, Noah Ballas, Zachary Edwards, Nathaniel Levine and Lindsay Barr will be attending classes at another IB school, Boadilla, in Madrid. They will also be living with host families. Ms. Bonnie Barr & Ms. Amy Ballas will be the chaperones during the six weeks. Ms. Barr will be there for the first three weeks and Ms. Ballas will be there for the final three weeks. Ms. Barr has reported that the students are settling in and having a great time thus far. 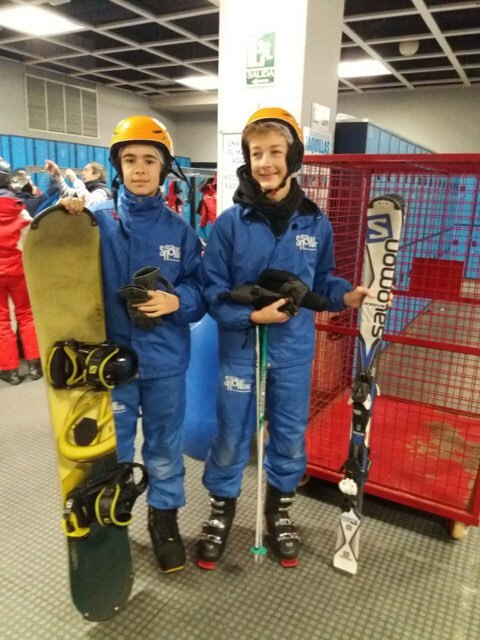 They have already been skiing and have plans to go to amusement parks with their host families. 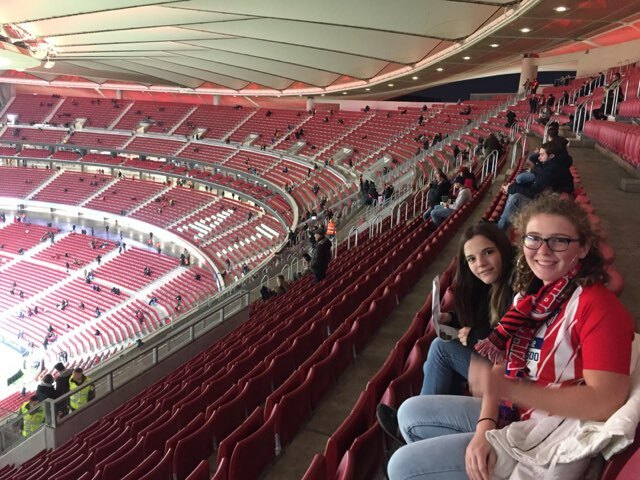 They will be going on field trips to museums such as El Prado, Reina Sofia & Alcala de Henares with the school. There are also day trips planned by Ms. Barr to travel to neighboring cities such as Segovia, Toledo & Avila. I will keep you updated weekly on the adventures that our students are having in Spain! ¡VIVA España! ¡VIVA PGIA! Noah, Joaquin & Lindsay getting ready for class.